It is well known that deep breathing reduces stress, lowers blood pressure and helps to relieve hypertension. Pranayama, the fourth limb of yoga, is a practice to control breathing and develop the habit of deep breathing. What is not commonly discussed and highlighted is that deep breathing is one of the foremost tools available for keeping the lymphatic system healthy and flowing. The lymphatic system is a part of our immune system and its health is important for our well-being. 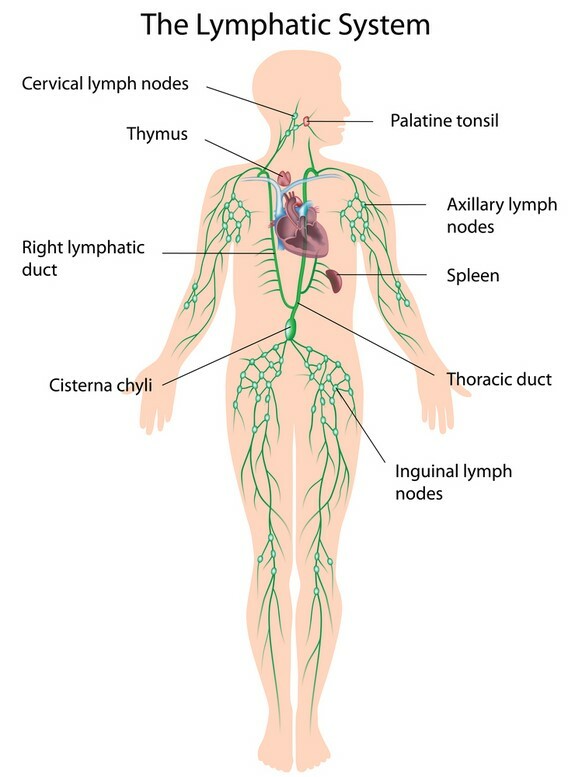 The lymphatic or lymph system is an elaborate network of vessels to drain certain fluids from tissues, very much like the veins that capture blood from tissues and return to the heart. The lymph system serves three main purposes: 1. as a part of the immune system, it captures and eliminates foreign materials and helps to defend against bacteria, 2. facilitates absorption of fat and fat-soluble nutrients in the digestive system, and 3. help maintain fluid balance between blood and tissues . As you can see for our well-being a healthy lymphatic system is essential. According to Dr Samuel West , deep breathing, which involves diaphragm movements and, expansion and contraction of abdominal muscles, stimulates cleansing of the lymph system by creating a vacuum effect which pulls lymph through the blood system by as much as 15 times the standard rate. Although there are many approaches to activate the lymphatic system , deep breathing (using the diaphragm and the abdominal muscles) appears to be the most effective approach. Regular practice of pranayama and deep breathing is a way to keep the lymphatic system healthy and to maintain our immune system functioning to the fullest. Yoga is a great form of exercise which helps you to develop self-awareness, acceptance and also reduces your stress to a great extent.